Dr. Edwin “Ted” Bergin is Professor and Chair of Astronomy at the University of Michigan. He completed his undergraduate training in Astronomy at Villanova University, and he was awarded his PhD in Astronomy from the University of Massachusetts. Before joining the faculty at the University of Michigan, Ted worked as an astronomer/astrophysicist at the Harvard-Smithsonian Center for Astrophysics. Ted has been awarded the University of Michigan Henry Russel Award for his exceptional scholarship and teaching. This is the highest award given to Assistant Professors. Ted joins us to talk about his experiences in life and science. When he’s not pondering the origins of life, Ted loves spending time with his family. Recently, he began a quest to fulfill his lifelong dream of learning to play the guitar. Ted enjoys old school 1970s rock and roll music, and he is slowly working his way up to playing pieces like George Harrison’s “Here Comes the Sun”. 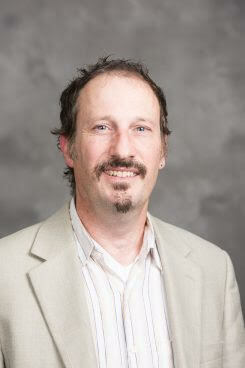 Ted is an astrochemist who is interested in understanding how and why stars, planets, and living organisms came to be. He examines the formation of stars and planets to better understand the origins of Earth and life on Earth. Since the newly forming stars and planets he studies are so far away, Ted uses astronomical techniques to determine the presence and abundance of the molecules needed to form living things. The shining stars of Orion’s belt gleamed brightly from Ted’s bedroom window in his childhood home in Philadelphia each winter. He loved watching the stars, but his school system didn’t offer any classes in astronomy. Whenever given a chance to choose a topic for a project or report, Ted gravitated towards astronomical matters like black holes. As Ted began to apply for colleges, he thought rocket science sounded pretty cool, but he wasn’t sure if he would like it, so he designated astronomy as his back-up plan. The day before starting college at Villanova, Ted toured the engineering school, and he quickly realized that the complex physical machines weren’t for him. Ted wanted to apply his mind to more abstract things, so he switched his major to astronomy and never looked back. Ted’s early years studying astrophysics in college and graduate school were a challenge. There were times when he left an exam only able to complete four out of the ten problems. Sometimes, he had no idea how to even begin solving these exam questions. In order to make it through, Ted had to buckle down and draw upon the knowledge of his peers and professors. In his graduate school quantum mechanics class, Ted saved his failing grade by setting up weekly meetings with his professor to identify and review the material he didn’t understand. In his research, Ted is trying to understand the chemical abundances of things like carbon, oxygen, and nitrogen in planet-forming systems. To determine the abundance, astronomers look at the amount of an element relative to hydrogen because hydrogen is the most abundant element. They can usually tell how much of an element there is in space by looking at the amount of light being emitted that is of a particular wavelength (each element has a specific wavelength). This works because atoms and molecules are constantly rotating, vibrating, and gaining energy by bumping into other objects. When they return to a low-energy state, they emit light. Unfortunately, hydrogen doesn’t emit light in planet-forming disks because the temperatures are too cold. As a result, Ted hadn’t been able to measure the mass of these planet-forming systems or determine the abundances of different elements. He devised an ingenious way to circumvent these issues by measuring molecules of normal hydrogen paired with deuterium (an isotope of hydrogen with more mass) called hydrogen deuteride. The only problems were that he couldn’t do his measurements from earth, and he had no idea if he could actually detect hydrogen deuteride. This was a fishing expedition. Fortunately, his exploratory proposal was accepted by the Herschel Space Observatory, and it worked! He detected the hydrogen deuteride molecules in the nearest planet-forming disk, and these measurements have allowed him to determine the masses of these regions and the relative abundances of other elements. Several years ago, Ted traveled to Iceland to attend a small workshop on the origins of water on Earth. He was there for about a week and was able to explore the whole island. The geology was spectacular, and you could actually see the layers of different volcanic events that led to the formation of rock outcroppings. They were constantly surrounded by breathtaking scenery, including gorgeous fjords and waterfalls. One evening Ted was able to relax and observe the beautiful Northern Lights while sipping a drink and soaking in the hot springs. Ted had traveled to the CalTech Submillimeter Observatory on Mauna Kea in Hawaii to do some observing with the telescope there. He was scheduled for half a night on the telescope, and the director of the observatory was scheduled to use the telescope after him. This telescope is somewhat unique in that it can move up and down, but the whole building rotates to point it in the right direction. Ted pointed the telescope to his area of interest and went to the bathroom. While in the bathroom, the whole building started to move again unexpectedly. The telescope was now pointing to a random spot in the sky. No matter how many times Ted tried to get it to stay in the right position, it just kept trailing off to other points in the sky (moving the whole building along with it). In addition to dealing with a rogue telescope and the high altitude environment with low oxygen, Ted also had the matter of the impending arrival of the observatory’s director to contend with. Not being particularly skilled in fixing mechanical things, Ted decided to turn it off and turn it back on. When he rebooted the telescope, it wouldn’t work at all. When the director arrived to conduct his observations, Ted had to admit that the telescope was out of commission. Be happy with who you are and what you have. Don’t be afraid of science. Look at the wonderful world around you, and ask why things are as they are. That is what it means to be a scientist. Ted’s research focuses on following the ingredients of life throughout the process of star and planet formation. He is one of the world’s experts on the formation and disposition of water and has contributed to our existing knowledge of the origin of water on our planet and others. Ted received his BS in Astronomy and Astrophysics from Villanova University in 1989 and his doctorate from the University of Massachusetts in 1995. He spent the following eight years as a scientist at the Harvard-Smithsonian Center for Astrophysics. Ted became a member of Michigan faculty in 2003 and has authored or co-authored over 400 publications in the field of astrophysics.